Courtney metal mask is laser cut and hand painted. 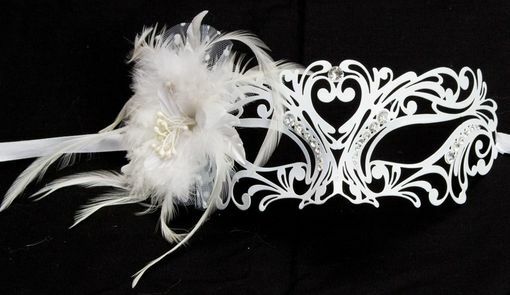 This mask is great for weddings or masquerade balls. Comes with white ribbon ties.